In China, pearls symbolize "genius in obscurity," or in our words, a diamond in the rough. This metaphor is illustrated by the beautiful pearl hidden inside the unattractive oyster. Because of its pale, shimmering hue, the pearl has lunar, and therefore feminine, associations, In Chinese celestial cosmology, the moon represents the female principle or yin. Pearls also symbolize patience, purity, and peace. China is the largest producer of cultured pearls in the world. The Hepu and Behai regions had active marine pearl fisheries as early as the Han dynasty, 3rd century AD and so pearls and pearl farming are a long-standing tradition in China. Some people hear the words "cultured pearl" and think that means it isn't a real pearl. That's not the case at all. A cultured pearl is not an artificial or synthetic pearl. It is still produced by a pearl oyster or mollusk and by normal processes of pearl growth. The only difference between the natural pearl and the cultured variety is that the nucleus has been inserted into the oyster to enable the pearl to have a good start. It ensures a larger and more evenly shaped pearl and is produced in a shorter period of time. Natural pearls are extremely rare and expensive. Pearls that were taken from the waters in ancient times were natural. Today they are very rare and extremely expensive. 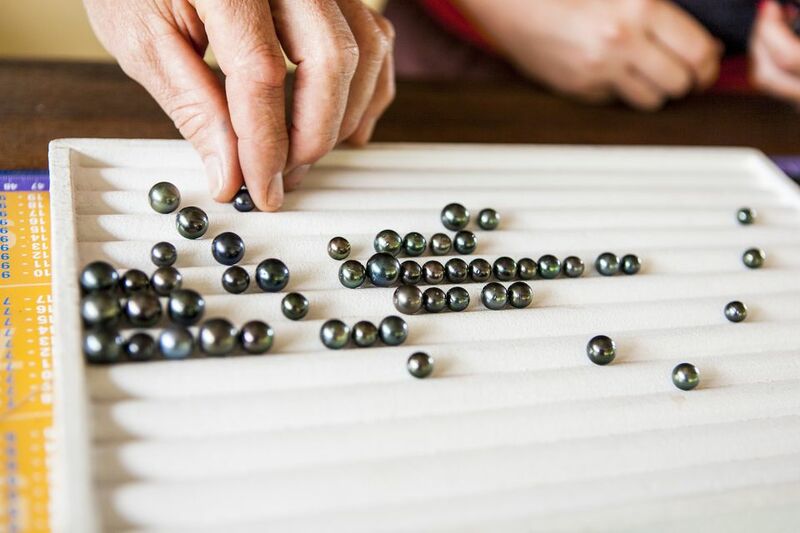 If a pearl vendor tells you it's natural, she probably means cultured and real—not a fake pearl. If it really is natural, it's probably not going to be in one of China's wholesale pearl markets. Imitation pearls are made from glass, plastic, or shell beads which are then coated with the material and painted to look like a pearl. They are usually obvious in their extremely uniform shape and color. Pearl vendors are more than happy to prove to you that their pearls are real by using a scraping test. Despite what you may expect, vendors are really not out to sell you fake pearls. As mentioned, they make a big show of demonstrating that a pearl is real, or fake. The real trick when buying pearls is not accidentally buying fake ones, it's negotiating a good price. It is customary to bargain and you might start by offering 25 percent of the asking price when buying jewelry. Size: The larger the pearl, the rarer and more valuable it is. Shape: A critical factor, the most expensive being the perfect sphere (more common in seawater pearls). Luster: This is the glow on the surface, not to be confused with the slightly iridescent colors that seem to be under the skin of the pearl. Skin: The fewer blemishes, the higher the quality. Matching: This is obviously important when determining the quality of a whole strand. Freshwater pearls naturally occur in white, ivory, pink, peach, and coral. You will find an amazing range of colors available in the markets from silvers and dark grays, electric blues and greens, fiery oranges and yellows, and neon purples and lavenders. Most of these colors are achieved using a special laser-dye process common to mainland China and Hong Kong. The color won't come off unless you scrape the pearl. It's good to know if the color is natural or dyed for your own understanding of what you are getting. Telling the difference between imitation pearls and the real ones is quite simple—use the tooth test. When you rub a real pearl, natural or cultured, across your teeth, the pearl will feel slightly gritty. Do the same with a fake and it's likely to feel smooth and slippery. If you're still having trouble deciding whether it's real, ask the vendor to scrape the pearl with a knife. A powder will result in scraping a real pearl while a white plastic bead will be revealed from scraping a fake pearl. There are many shops that sell pearls throughout China. These are some that are well-known to tourists.